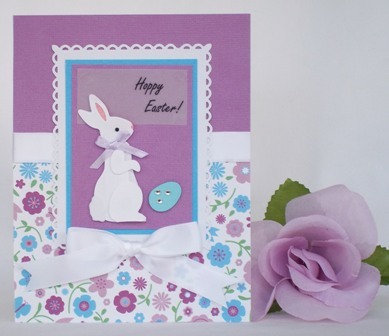 Discover homemade Easter card ideas using fun embellishments like bunny stickers and satin ribbon. Find handmade card ideas using punches and stamps. For my handmade Easter card ideas, I found lots of inexpensive stamps to use. One was of a basket with eggs which I used for many Easter card designs. I colored the basket and eggs the same colors as the polka dots on the paper. I used a scallop border punch along the bottom of the pink paper and embellished the card with satin ribbon. Your homemade card ideas can be inspired by a cute sticker. 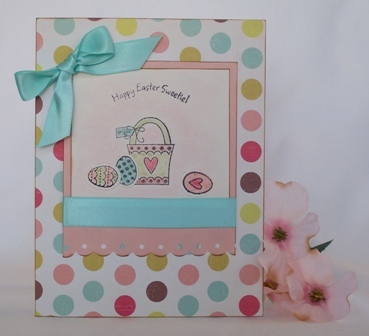 For this Easter handmade card making project, I used a border punch to create the white frame but you can use a precut shape. I printed the sentiment on vellum paper and adhered a bunny and egg sticker. 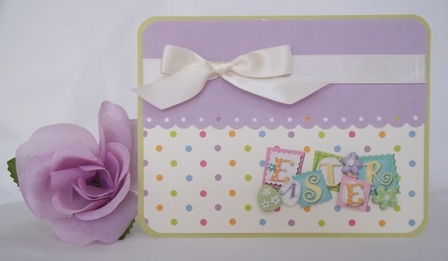 Try using a corner punch for your Easter card ideas. I used a 1/2" corner punch to create this handmade card. 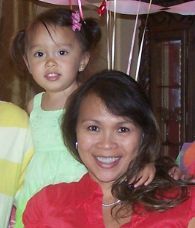 I also used a scallop border punch on the bottom of the purple paper and embellished it with satin ribbon and a sticker.